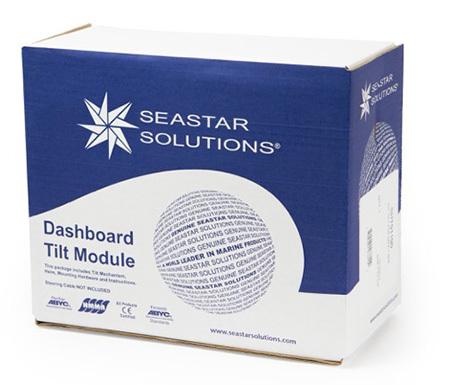 SeaStar Solutions offers a variety of Dashboard Module Tilt Kits to cover all types of engines including Outboard, Power-Assisted Stern Drive, non power-assisted Sterndrive and Inboard. SeaStar Solutions® Tilt Steering brings comfort and convenience to any boat. Tilt steering allows adjustment of the wheel to suit nearly any physique and driving position. The Dashboard Module kit includes a Tilt helm, Tilt mechanism, mounting hardware and instructions. • 5 adjustment positions in 12º increments.